Pain Physicians NY (Brooklyn, Queens, Manhattan, Bronx NYC) is one of the first sports injury clinics in New York to offer Platelet Rich Plasma (PRP) Injections for patients suffering with pain. Our facility equipped with the most advanced, cutting edge equipment to treat pain. At Pain Management Brooklyn NYC you will get the necessary medical help and relieve of your pain. Our pain management specialists will help you reduce and even totally eliminate it. There is no need for you to suffer at home. Make an appointment and get the help you need. Sports injuries are common and can result from any sport, golf, tennis, football, basketball, wrestling, etc. Playing sports, professionally or just for fun increases your risk of injuries. Once injured don’t continue to play. You can just make your injury even worse. This is a mistake that most people do, by continuing to play the game until the end. Instead, you should stop, get out of the game and make an appointment at Pain Management Brooklyn NYC. Our specialists will help diagnose and treat your problem. At Pain Physicians NY, we combine traditional physical therapy with exercise, science, and sports medicine to create or restore the balance and symmetry of the body. We specialize in sports rehabilitation following injuries as well as sports training programs to avoid injury and improve performance. 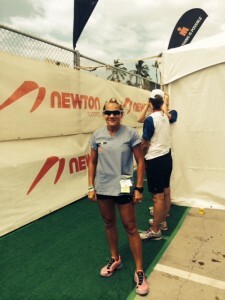 Bio-mechanical evaluation will help in the prevention of future injuries and maximize performance and function. We are proficient in returning our patients back to the athletic field, work place, or life as soon as possible. Whether helping a high school basketball player or a professional tennis player, rehabilitation therapists and performance specialists help athletes of all ages and abilities get back to doing what they love — and do it better than ever. All of our rehabilitation therapists have advanced training from many American and international schools/institutions in a variety of manual therapy techniques as well as other specialties, including sports and orthopedics. Pain Physicians NY features a newly renovated, modern facility with state-of-the-art equipment and technology. Extracorporeal Shockwave Therapy (ESWT) can be used for both chronic and acute soft tissue disorders in the field of sports medicine. Latest results prove shockwave efficiency in muscle strain healing, dramatically reduces healing and recovery interval and allows faster comeback to full sports endurance. During ESWT, a high-intensity sound wave interacts with the tissues of the body. This leads to a cascade of beneficial effects such as neovascularisation ingrowth, reversal of chronic inflammation, stimulation of collagen and dissolution of calcium build-up. Stimulation of these biological mechanisms through ESWT creates an optimal healing environment. As the injured area is returned to normal, functionality is restored and pain is relieved. The Weber Multi laser has a two-fold effect: a pain-free stimulation of deep tissue with with the biological effects of laser light. 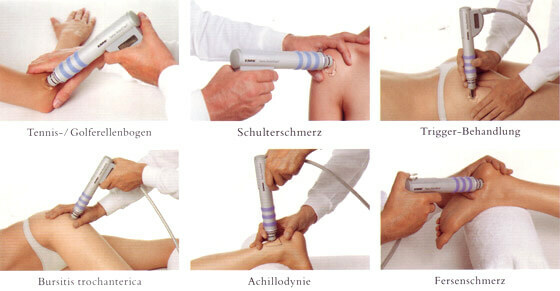 In unique laser therapy, the so-called laser needles are used for pain-free application and placed on the skin or used together in special applicators for the treatment of larger surfaces. During local pain therapy, the lasers can be combined in an applicator so that the pain area can be irradiated with a high intensity. Red, infrared, green, and blue lasers can be used together for the different penetration depths and the various effects in the tissue. The highly concentrated laser light enters the tissue and leads to bio-stimulating and reparative effects without any side effects. Pain management laser therapy leads to an optimal regeneration effect on the mitochondrial level, so the reduction of pain is only one aspect. Furthermore it will lead to sustainable regeneration of the diseased area. 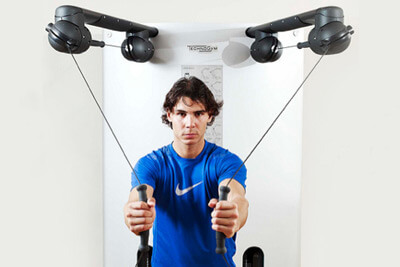 The Kinesis One machine uses cables and weight stacks to help achieve a full range of motion. Its unique design provides a zero impact workout, suitable for all body types and all levels of exercise readiness. The design allows for free movement, including 360 degrees, and even distribution of resistance. It doesn’t require any time-consuming setup prior to use which allows the user to start right in with their exercise regimen. Kinesis machines are specifically designed to exercise the body in a way that is most comfortable for the individual working out. They are designed to work with your body, not against it. TEKS ISO-MED is a multi-functional ISO-Kinetic rehabilitation testing system with exercise protocol. It provides rehabilitation professionals around the world with ideal ISO-Kinetic testing, monitoring, and rehabilitating equipment to regenerate injured muscle tissue and effectively improve performance. The rehabilitative aspect of resistance training movement will aid in the healing process of connective tissue. This treatment is used only if that movement generates sufficiently-controlled stress which promotes correct alignment of collagen fibers and not the continual breakdown of fibers as they are laid down. Iso-Kinetic rehabilitation will result in a smaller but stronger scar and reduce the incidence of unwanted adhesions occurring. Movement will also promote the release of synovial fluid in the joint thus decreasing the chance of adhesions within the joint and that condition known as joint Gumming. The benefits of hydraulic resistance training for safe injury rehabilitation have been known and utilized for some time. 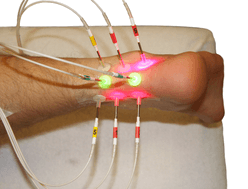 The accommodating nature of hydraulic resistance allows the body’s own pain/reflex feedback mechanism to control the amount of stress placed on healing structures. Hydraulics removes the end point loading which is associated with anti-gravity resistance mechanisms. Where there is an impending directional change there is a moment in which the weight is decelerated, held isometrically, then re-accelerated eccentrically. This point quite often coincides with the mechanical disadvantage and if movement becomes ballistic in nature then the deceleration forces are transferred onto the ligaments which control range of motion. Because hydraulic resistance is dependent on movement or resistance, at the end point there is no movement, therefore no resistance, just smooth deceleration and smooth acceleration. The Functional Movement Screen (FMS) is a 10-part examination used by specially-trained, certified accelerated physical therapists to assess an athlete or worker’s overall mobility, flexibility and stability. FMS involves a hands-on evaluation to create a snapshot of a patient’s potential for injury. The FMS also allows a therapist to develop an individualized treatment plan, including corrective exercises. In whole body vibration (WBV), the entire body is exposed to vibration, as opposed to local vibration (Biomechanical Stimulation, BMS), where an isolated muscle or muscle group is stimulated by the use of a vibration device. 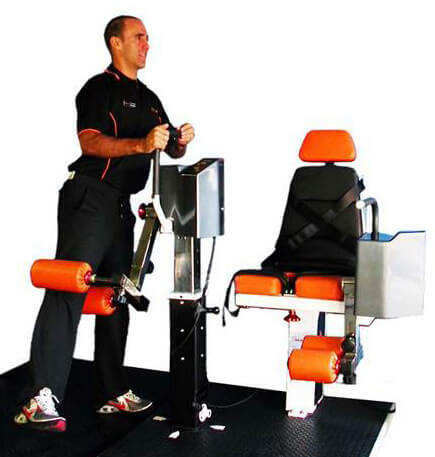 WBV is implemented through the use of a vibrating platform on which static poses are held or dynamic exercises can be performed depending on the type and force of the machine. The vibrations generated by motors underneath the platform are transmitted to the person on the machine. WBV helps improve body balance and is effective and efficient for those who cannot exercise due to physical problems or disabilities as well as for trained athletes. In a 10-minute session and in a floor space of only 3 square feet, users will exercise and stimulate their muscles easily and quickly without stress to bones and ligaments. The body experiences the effect of regular aerobic exercises through vibration. Increase muscle strength and endurance VibaCore increases strength and stamina by stimulating fast twitch muscle fibers. For athletes who need high power, as in running, jumping, and throwing, it is very critical to maintain the weight and performance of fast twitch muscle fiber. VibaCore whole body vibration machines also help improve muscular endurance by stimulating Human Growth Hormone (HGH) secretion to improve performance of slow twitch muscle fibers. Get Back To The Activities You Love SonicWaveFitness Exercise can also help trim recovery time from injuries, getting you back to the activities you love sooner and with reduced stress to your body when you are unable to exercise in the traditional manner. Whole Body Vibration exercise can benefit persons of all fitness levels from professional athletes to seniors with disabilities. Train regularly – without good and regular training, you won’t be able to play sports, especially if you are playing professional sport. However, even if you are playing just for fun, whenever you have free time to do so, you should create a schedule and train and play regularly. Cool down – continue stretching for a while even after the game has ended. If you have a sports injury, don’t suffer at home but seek medical help instead. Our team of doctors at Pain Management Brooklyn NYC will diagnose and provide you the necessary treatment in order to get you back playing sports as soon as your health condition allows it. Remember to stop playing after an injury and to seek medical help immediately. If you do continue to play until the end of the game, you can just make your injury even worse. Our pain management specialists will focus on diagnosing your health problem first, by using the latest medical technology available. After the right diagnosis is made, they will suggest the proper medical treatment, determined based on your own condition and overall health. The goal of our pain management doctor’s is to get you back in the field or onto the court as soon as possible, with minimal downtime. The most conservative pain relief treatment is recommended first, and if non – invasive treatment treats your injury, invasive procedures, and even surgical procedures are necessary. The most advanced pain management center, Brooklyn pain management doctors and specialists at Pain Physicians NY offer unique, individualized approach to manage your pain. We are using the most effective pain management options including Platelet Rich Plasma (PRP) and Corticosteroid Injections and utilizing the latest technologies available in USA.